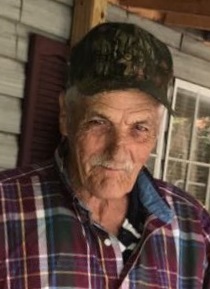 Charles Vernon Eubanks, 74, husband of the late Cindy E. Eubanks, entered into rest March 26, 2019 at his residence. Survivors include his stepsons Erik Galloway (Kay), Rick Galloway (Gloria), step daughter Renee Galloway, brother Freddie Eubanks and sister Lillie Ann Busbee. Seven grandchildren Ricky Lee, Kayla, Martywayne, Cydney, Dalton, Dylan and Graydon. A host of other relatives and friends. A memorial held at Full Gospel Light House Church 4897 Augusta Road, Beech Island, SC 29842 with Pastor Chris Lowe officiating, Friday, March 29, 2019 at 11:00 am. With burial at Langley Cemetery. The family will receive friends at 167 Baker Street.